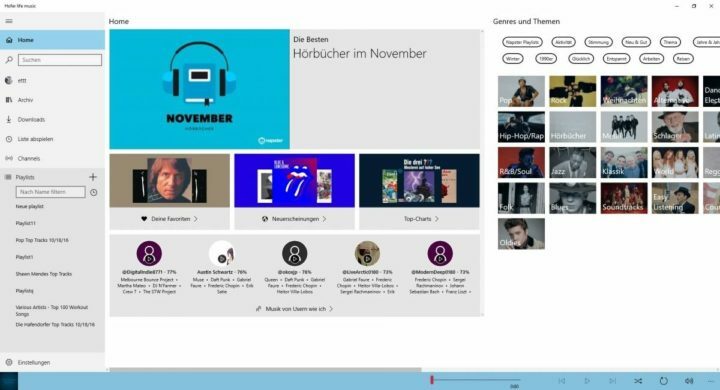 Napster users that find themselves in Germany soon or who live there full-time will now be able to enjoy the German version of the app: It seems that a Germany version of Napster was released through Hofer Life and users can enjoy the same experience that the original service offered. Napster is as versatile as they come, with a ton of features that can please even the most picky of users. For those who aren’t accustomed to Napster, the app is an audio streaming service which can be used to play music and audio books. There are several such services available, so many might be wondering what makes Napster different. Those constantly looking for new content will be greeted with a new batch of high-quality audio titles each Friday. For those interested in Napster, you can download and install the app from the company’s website. However, you will require a subscription if you want to be able to use it.